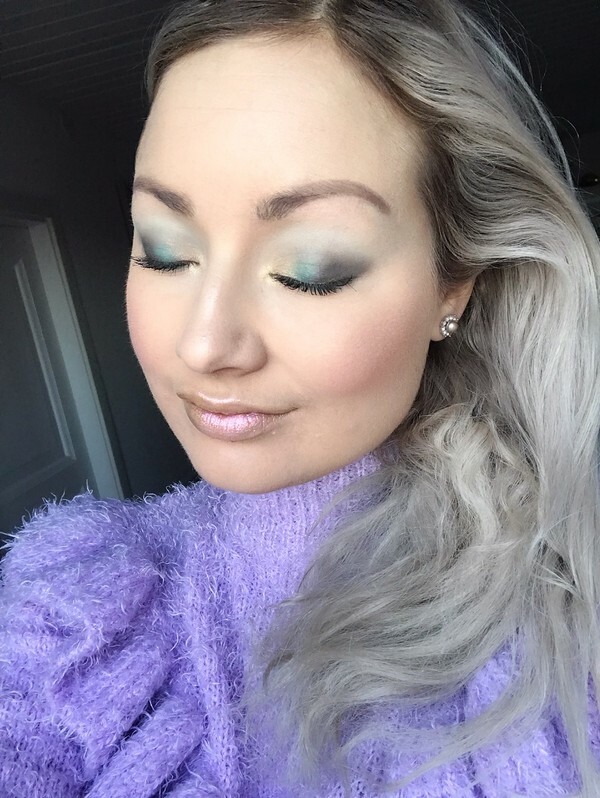 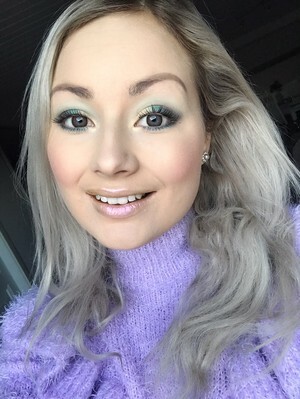 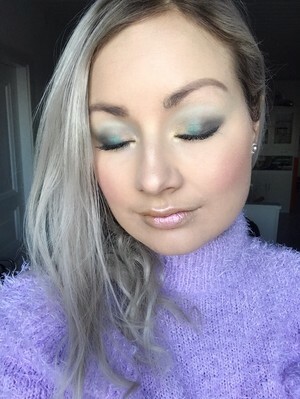 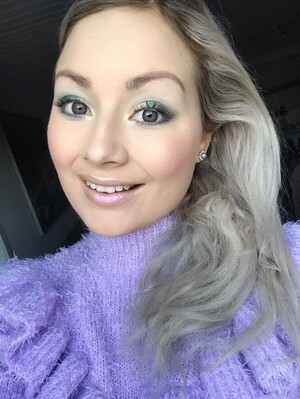 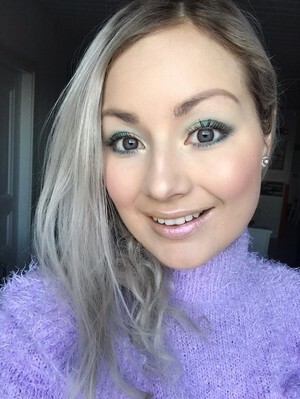 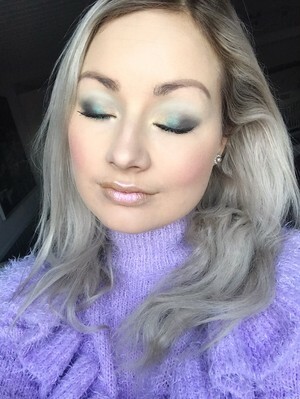 Eyeshadows: Emerald Obsessions from Huda Beauty. 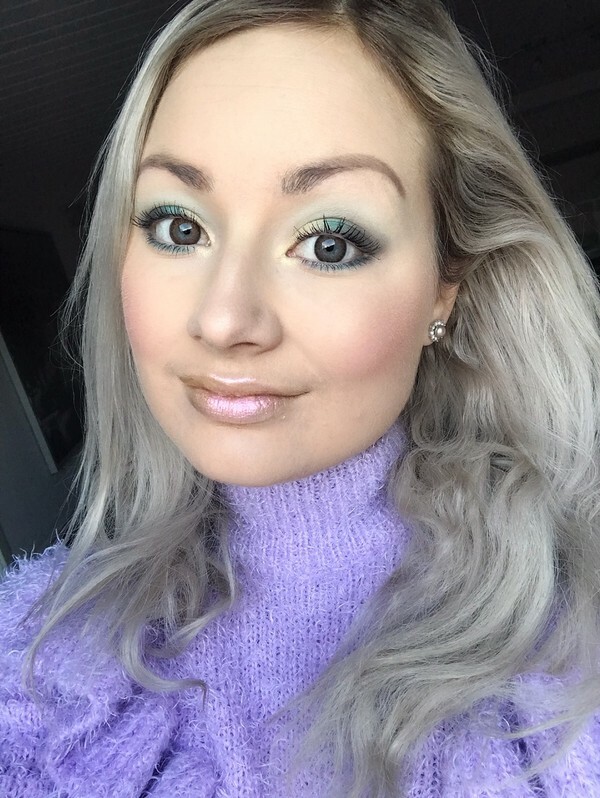 Lips: Go Bananas gloss from Kylie Cosmetics. Primer: Matte Perfection from Huda Beauty. 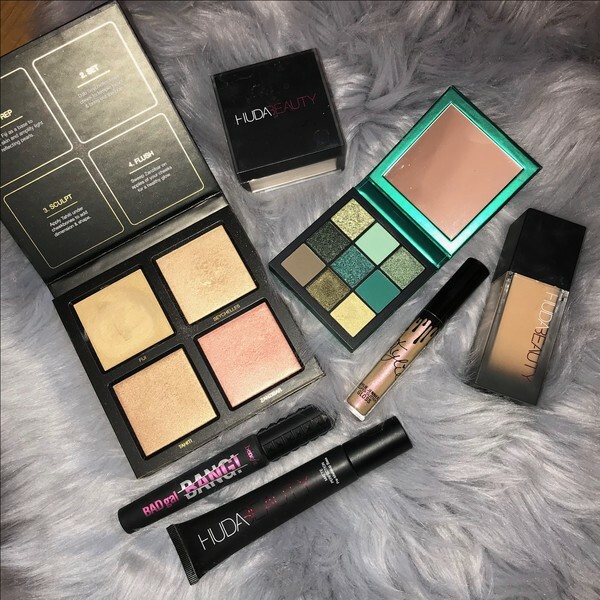 Glow: Pink Sands 3D Highlighter palette from Huda Beauty.